Welcome Home! 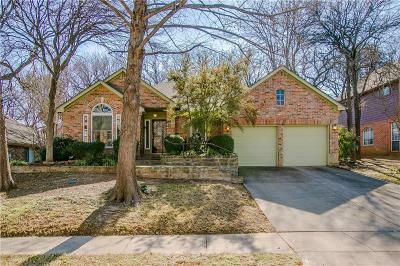 A Must See light & bright 1 story, 4 bedroom, 2 bath home in GCISD! You are greeted by a large formal dining and a great room with soaring ceilings. This open concept floor plan boasts a kitchen with granite counter-tops, a family room where you can sit and relax by the cozy fireplace and a spacious breakfast area that leads right to the backyard. Retreat to the master suite with updated spa-like master bath. Enjoy the nicely shaded backyard with mature trees and large open patio. Drive into the quiet neighborhood to see this well maintained beauty.